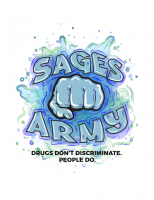 Seton Hill University will host two events in October to highlight the work of Sage’s Army, a nonprofit drug awareness and prevention organization based in Westmoreland County. The events will include a presentation by Carmen Capozzi, founder of Sage’s Army, on October 19 and a Fist Bump Relay event on October 27 to raise awareness for the nonprofit and attempt to break a Guinness World Record. 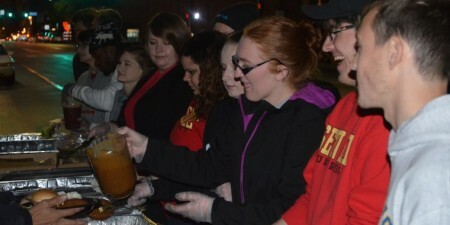 The events are being organized by members of a Senior Seminar Class at Seton Hill. Each Senior Seminar class is tasked with developing a Social Action Project, and members of this class chose to raise awareness of Sage’s Army and the work they are doing with drug prevention. Sage’s Army was founded by Carmen Capozzi in honor of his son, Sage Capozzi, a promising young man who lost his life to addiction. The goal of Sage’s Army is to offer support, guidance and encouragement to people who have been affected by the epidemic of drug addiction. On October 19 at 4 p.m., Carmen Capozzi will present information on Sage’s Army and discuss the drug crisis locally in a public lecture that will be held in Cecilian Hall on the second floor of the Administration Building on Seton Hill’s campus. Capozzi will be joined by people in recovery who will share their personal stories. On October 27 at 4 p.m., the entire campus community and the public is invited to attempt to break a Guinness World Record for the most people participating in a Fist Bump Relay. 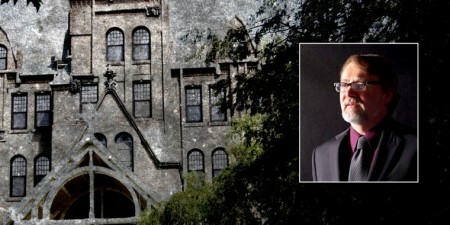 Participants will gather on the front lawn of the Administration Building and spread out along Seton Hill Drive. They will then start a chain of fist bumps going from person to person. Organizers are hoping to have at least 400 people participate. The current world record, set in Anchorage, Alaska, is 300 people. More information can be found on the group’s Facebook Page.